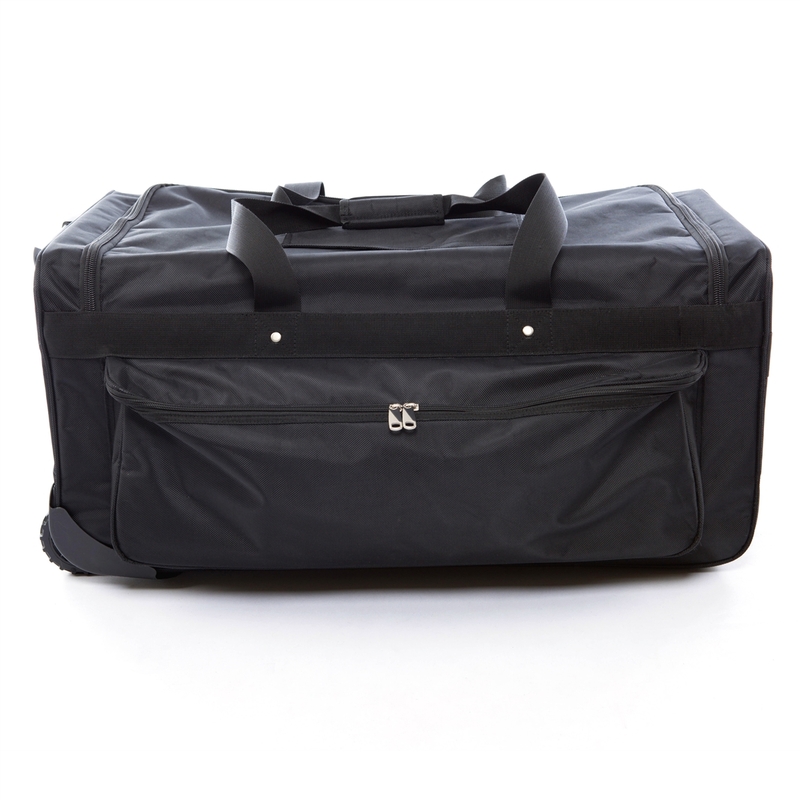 The Caddy Bag is the ultimate duffel with wheels and a side hanging garment rack. 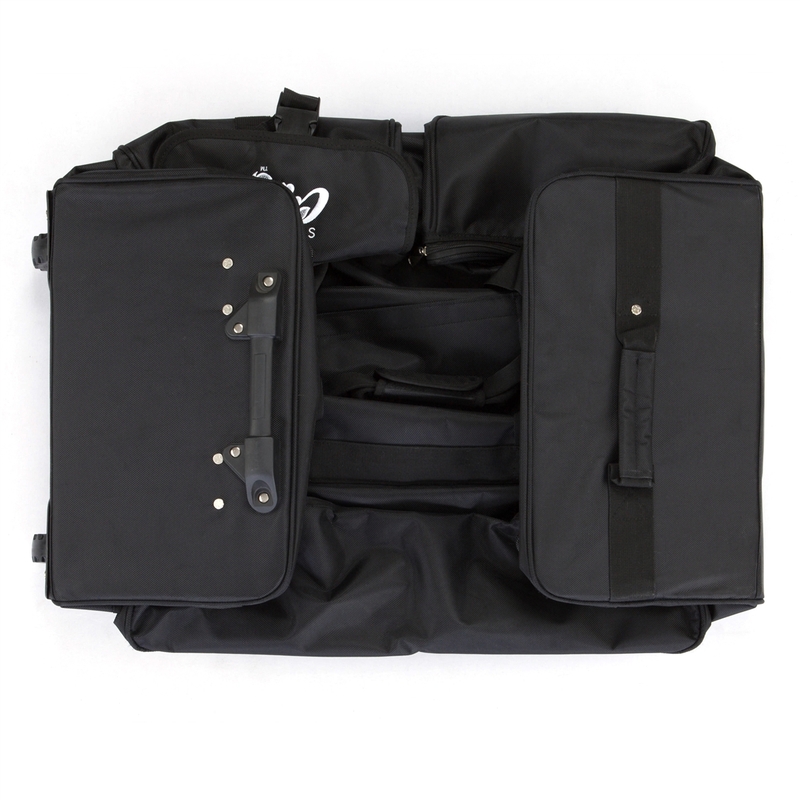 Designed to allow the competitive dancer to be organized and ready for dance competitions. 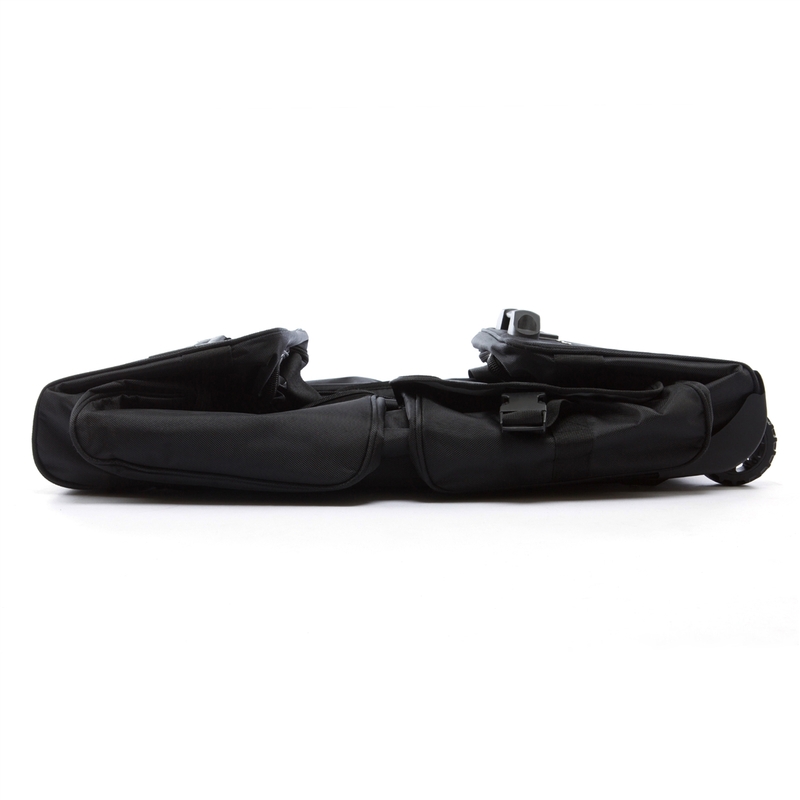 The Caddy Bag is also great for Pageants and the Competitive Ice Skater, Cheerleader and Equestrian. 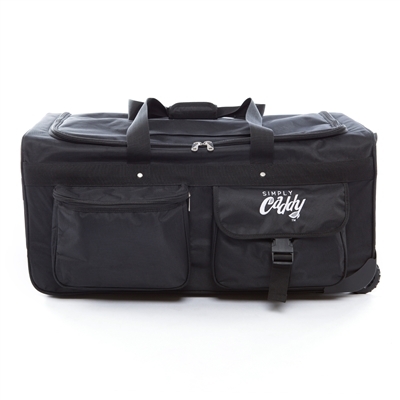 The light weight durable construction protects contents for easy transport and to use during events. 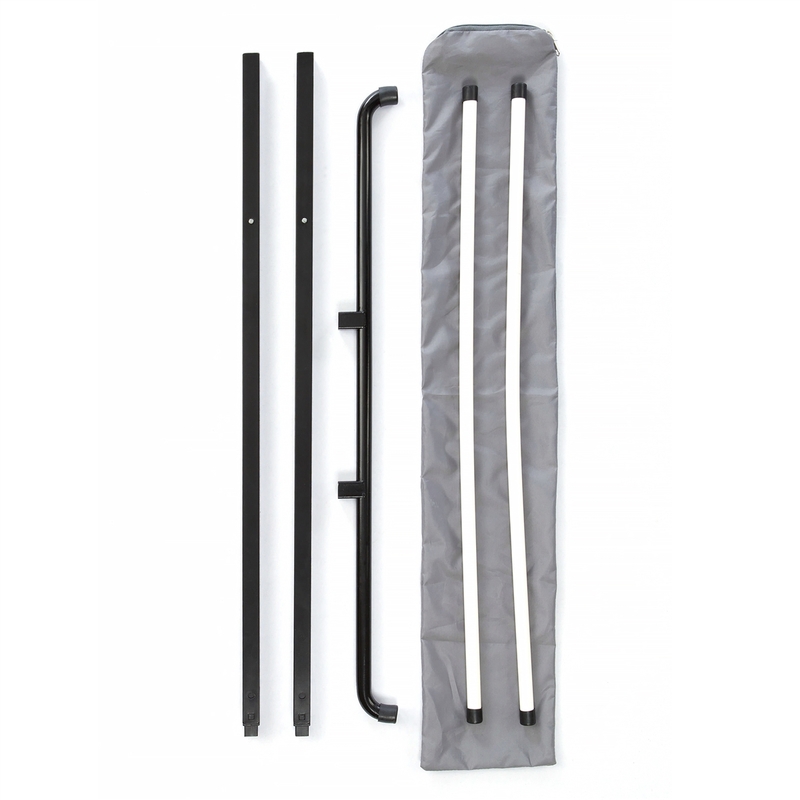 2 Plastic handles on each side for easy lifting, plus top handles. 1 Patch (11" x 8.5" ) that velcros onto top of bag. 2 Inside zipper pockets, each 14.5"x 7.5"
2 inside open pockets, each 14.5" x 7.5"
1 Vanity tray that velcros to the interior left side of bag. 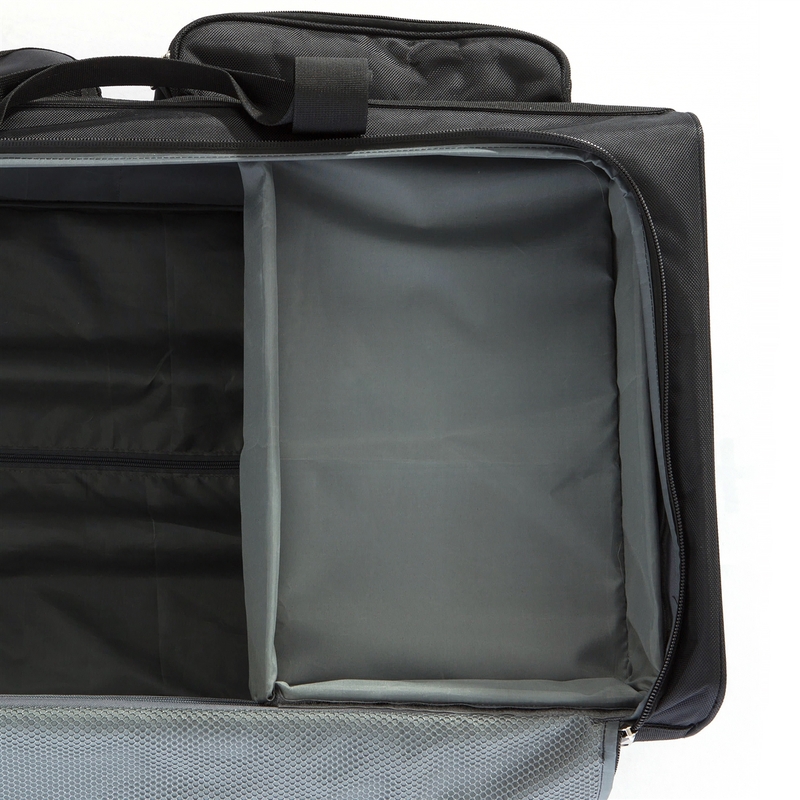 Bag folds flat for easy storage when not in use. The Caddy Bag holds up to 15-18 costumes. The 18" stool fits neatly in the bottom of the bag. 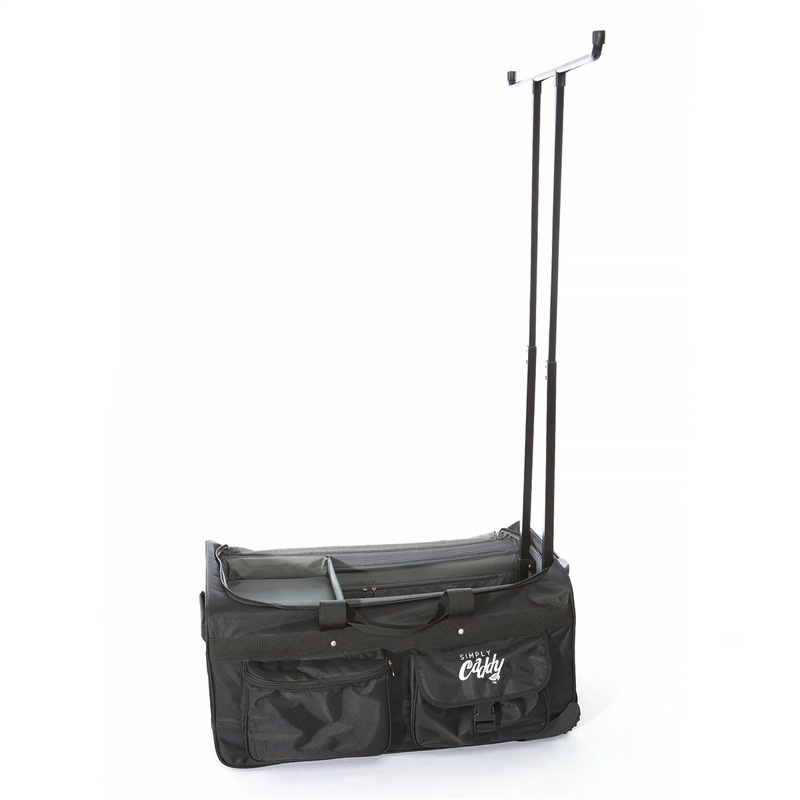 Watch the video below to see how easy it is to set up The Caddy bag. Love the new caddy bag! The only thing I had trouble with was the initial assembly of the costume rack. I think it's different from what I've used in the past, so I will have to keep practicing! I love that the clothing rack is off to the side allowing access to the bag while the costumes are already hung up. The bag itself is sturdy, and the wheels and handle seem very durable. Another great product from Simply Caddy!! © Copyright 2016 Simply Caddy, LLC. All Rights Reserved. Built with Volusion.